Hi, i commented positively on 2013-02-10, now it's a shocking experience, GO TO SETTINGS -> ACCESSABILITY -> TALK BACK, enable this function, and devices hangs and stops working. I tested it with other Karbon devices, this is a common problem with many of Karbon products on JB. I approached their service centre and what is more shocking, they are not accepting this and hiding. Test it your self at any showroom. can u plz give more details , like wen it is unresponsive as how unresponsive and is it usable?? Amit, 08 Apr 2013I brought this tab about a week ago.This is a great tab at given price range.Amazingly fast th... moreFrom where did u buy it? I'm also searching it but every store is out of stock. AnonD-133433, 07 Apr 2013i bought the tablet a few months ago... the display is good... but it DOES hang few times whil... morecan u share ur experience with touch screen issues more , like where it is not sensitive where u find difficulty, how frequently is the touch bad?? AnonD-132364, 04 Apr 2013Buy from here. Good site. I too bought it from saholic. http://www.saholic.com/tablets/karbon... moreThanks, but Karbonn ST 8 is also out of stock in Saholic. You can install as many games as you want by swapping your internal memory to external memory. Follow this post on XDA. Every steps are shown and you can do that very easily. ssamanta, 02 Apr 2013Does anyone know why this tab is not available in majority of the stores.Even online stores ar... moreBuy from here. Good site. I too bought it from saholic. Does anyone know why this tab is not available in majority of the stores.Even online stores are out of stock.Flipkart has even permanently discontinued it.What is the reason behind it? theejhay, 22 Mar 2013how about the viewing angle?is it good? i read all the reviews but no comments on viewing ang... morethe screen is reflective when seeing from upside and right side. 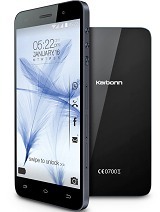 Total of 174 user reviews and opinions for Karbonn Smart Tab 8.